Zulu War. 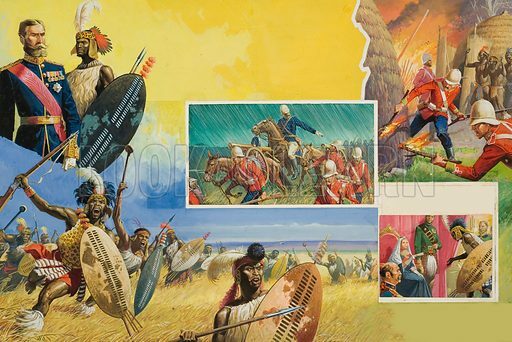 Anyone could see that the Zulus could not stand for ever against the might of the British Empire - but King Cetewayo gave Lord Chelmsford a good run for his money. After the war, Cetewayo became famous and was brought to London where he was introduced to Queen Victoria. Original artwork. Available worldwide for immediate download up to 4,892 x 3,271 pixels.